Discover the art of painting with light! The decline of the 19th and early 20th century brought a flowering of art nouveau. One of the favourite techniques of Polish artists of this era was stained glass which started to filled windows of Krakow churches as well as residential and public buildings. We offer You an unusual tour during which you have a unique opportunity to discover the most beautiful Art Nouveau stained-glass windows of Krakow! Among the local artists who were famous for practicing the art of painting with light and colour two close friends and outstanding creative minds – Stanisław Wyspiański and Józef Mehoffer played a very special role. During the tour we will see their most astonishing works. 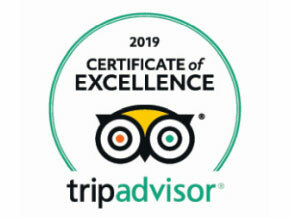 We will visit Wawel Cathedral, the Franciscan Basilica and St. Mary’s Church, but also enter into commercial and residential buildings which are rarely visited by tourists. Our guide will present You miracles of art nouveau in the Poller’s Hotel, House of Medical Society and the Municipal Savings Bank building. Our itinerary includes also visitting the House of Józef Mehoffer. Decor of this beautiful residence reflects both spirit of the age and individuality of the artist. 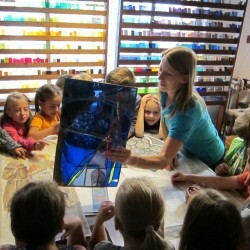 At the end we will visit the Stained Glass Museum Krakow which is also a still acting workshop (since 1903)! If you want to learn the secrets of traditional stained glass technique and experience a unique encounter with art nouveau, our trip is just for You! The first stop on our route. The interior of the cathedral church hides priceless historical artefacts and works of art of the highest class. The Cathedral stained glass windows also impress with mystical beauty. Particularly noteworthy are those of the Holy Cross Chapel. The most beautiful stained glass window in this magnificent early-baroque (erected in the 2nd half of the 17th century) temple is much younger than the church itself. The image of St. Simon of Lipnica adorning the window in the funerary chapel of that saint is one of the Jozef Mehoffer’s last works. It was created it in 1945. Mystical expression of that image is truly memorable. A very little known and enchanting place. Interiors of this building (erected in 1904) were all projected by Stanisław Wyspiański. As a result, they are full of dazzling, inspired by nature art nouveau details. Particularly impressive is staircase with balustrade and friezes adorned with motif of chestnut leaves. There is also a wonderful reconstruction of stained glass presenting an image of Greek god Apollo. The original masterpiece has been destroyed during World War II. The building is situated right next to the headquarters of the city authorities and the beautiful Franciscan Basilica. Pavilion was erected especially in order to expose stained glass windows made according to the projects which Stanisław Wyspiański created for the Wawel Cathedral. Extremely bold artist’s vision was never realized in the church, but fortunately today we can admire the dark and expressive images of king Casimir the Great, St. Stanislaus and Prince Henry the Pious. Stanisław Wyspiański created inside the church captivating images full of mysticism and poetry. Art nouveau with its love of nature fits in perfectly with the main provisions of Franciscan spirituality. The most famous of stained glass in the Basilica is obviously the image of God the Father above the main entrance. It is worth remembering that the beautiful interior of the church animated by an extraordinary play of light and shadows were place of prayer and meditation for Karol Wojtyła. The main church of the city of Krakow is a living testimony of the artistic tastes changing over the centuries. The current arrangement is the result of the restoration work carried out in the late 19th and early 20th centuries. Dazzling wall paintings designed by Jan Matejko (one of the most famous Polish 19th-century artist) create an astonishing background for masterpieces of Gothic, Renaissance and Baroque art. The most significant object in the presbytery is, of course, a great altar by Veit Stoss, but we would like to draw Your attention also to the stunning stained glass windows designed by Mehoffer, Wyspianski and Tadeusz Dmochowski. Stained-glass windows, designed by Józef Mehoffer, were created in 1933 in the famous Krakow Workshop of Stained Glass SG Żeleński. Visiting this place is a great opportunity to learn something about and appreciate both the unique style of designer and the dexterity of craftsmen who have done the work. Stained-glass windows (the image of Allegory Savings) is situated at eye level and reflect the spirit of Polish Art Nouveau perfectly. 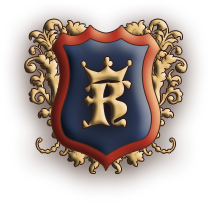 One of the oldest hotels in Krakow. It has been running for more than 180 years! In this magnificent building we have once again the opportunity to see how an art nouveau influenced the decor. The stairwell lightened by stained-glass windows designed by Wyspiański with great finesse and ingenuity. The most famous motif of the interior is the image of the Golden Anchor (“Under the Golden Anchor” is the original name of the hotel). Small temple next to the buildings of the Reformed Franciscan Monastery is known primarily from the catacombs whose unusual microclimate prevents the decomposition of bodies buried there. 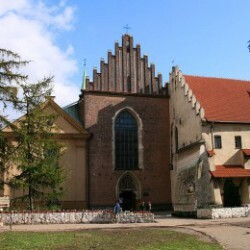 However, during our trip we will visit the quiet interior of this tiny church and look at the magnificent stained-glass window with the image of St. Casimir the Prince above the choir. Unusual stained glass which we will see in the building are great illustration of a holistic way of thinking about interior design in the art nouveau architecture. Five compositions (first over the entrance and next four illuminating the staircase) are: an image of St. Stephen, an depictions of poppies and butterflies, sunflowers, irises and an owl with a book. It is a great example of treating motifs drawn from nature as a decorative elements, which is so characteristic of Art Nouveau. Mehoffer’s works and unique style will accompany us throughout our journey. Almost at the end of it, we will visit a very special place, the “Palace of the cone,” which Mehoffer bought and arranged for his family. Interestingly, previously it was a family home of … Wyspiański. As You can see, the place is closely linked to both Krakow’s most prominent creators of stained glass! You can admire there some magnificent paintings, furniture and of course … stained glass windows. Our journey concludes at the Stained Glass Museum. The beautiful interior of the museum building is not only an exhibition space, but primarily a workshop operating since 1903. 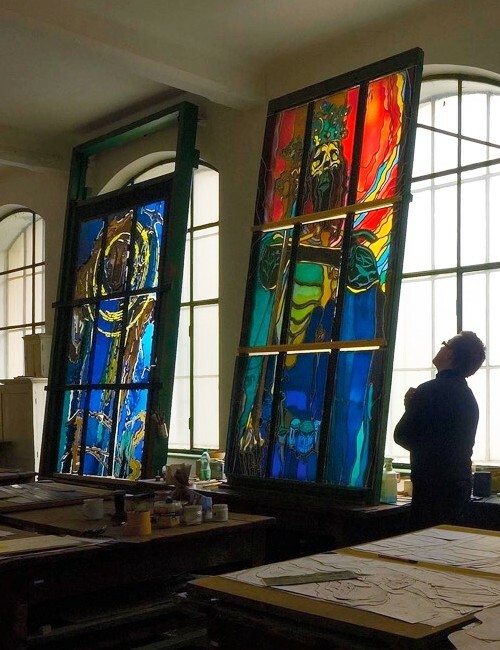 At the exhibition You can see outstanding historical and contemporary stained glass but visiting gives us also a unique opportunity to trace the entire fascinating process of creating stained glass with traditional centuries-old technique!